Document .Net can help you to merge documents of different formats: PDF, DOCX, RTF, Text and HTML, etc. For example: You can combine files of the same format! This's a simple code, how to merge example.pdf and example.docx into a single DOCX document. /// How to merge two documents: DOCX and PDF. // Save single document to a file.
''' 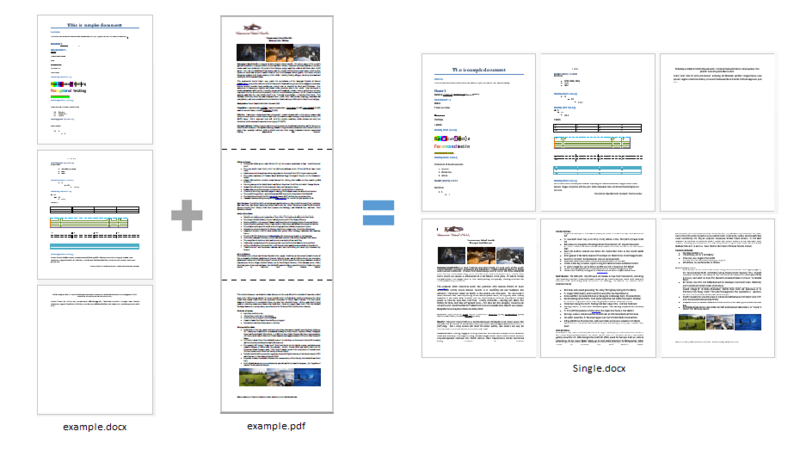 How to merge two documents: DOCX and PDF. Dim singleFilePath As String = "Single.docx"
' Save single document to a file. See more details about Merging documents in C# and VB.Net.